Chances are, you wonder what will happen if your aging parent loses their ability to make health or financial decisions. How can you or others in your friend and family circle help them in that situation, or know what to do? These questions are all part of an ongoing conversation you may already be having having as a caregiver – and part of the answer might lie in a legal document called a power of attorney, or POA. A POA gives someone the legal ability to make decisions on behalf of another adult, such as an aging parent or loved one. For example, an aging father might create a power of attorney giving his daughter the ability to make decisions for him in the event that he cannot. The person who’s named in the power of attorney document as the decision maker in that situation is called a “primary agent.” A power of attorney may be necessary for you to have if and when your aging loved one cannot make decisions for themselves. There are two types of powers of attorney that may be necessary. One is a medical power of attorney, which gives control over medical decisions and is often called an Advanced Healthcare Directive, and a second is a financial power of attorney, which gives control over financial decisions. One person can serve in both capacities, but it’s often recommended to have a different person for each POA. Creating a power of attorney and deciding on a primary agent are significant steps to take. So is becoming a primary agent. That’s may be why power of attorney is one of the topics we are hear the most questions about at Caring.com. This guide is designed to give you the basic building blocks you need to get started. As mentioned above, a power of attorney (POA), or letter of attorney, is a document authorizing a primary agent or attorney-in-fact (usually a legally competent relative or close friend over 18 years old) — to handle financial, legal and health care decisions on another adult’s behalf. (A separate document may be needed for financial, legal, and health decisions, however). Generally, one chooses a POA as a provision if he or she becomes incapacitated. Often, people work with an elder law attorney to outline the responsibilities the POA will give the primary agent. Establishing a durable power of attorney does not strip a person of the power to make decisions for themselves; it merely assigns another person to share the responsibility. A nondurable power of attorney cannot act on your behalf if you become disabled or incompetent. You would generally choose a nondurable power of attorney for a specific matter, such as handling your affairs in your physical absence. In estate planning, through which seniors plan for future incapacity, all powers of attorney are durable. This means the power of attorney is effective regardless of your health condition. On the other hand, a springing power of attorney becomes effective at a specific time in the future, perhaps in the event of an illness. A primary agent should be someone who is trusted to act in your aging loved one’s best interests and per their explicit instructions — and it’s not always the easiest job. An agent will have the freedom to handle his or her assets as he or she sees fit, so you and your family members may want to consider a potential agent’s financial knowledge or capacity for seeking and accepting outside help. The agent will potentially spend a great deal of time acting on your loved one’s behalf with little or no financial compensation for these efforts. When your loved one is going through this process, make sure that no one is forcing them to assign a durable power of attorney to someone who may not be the most trustworthy, responsible person for the job. Understandably, this can be a difficult conversation for families to have. Sometimes the right person to take on the responsibility of a POA is not the person closest to an aging parent emotionally. An experienced elder law attorney, possibly with the help of a family counselor, can facilitate this process in a way that limits family conflict or hurt feelings. A notary public or attorney must witness your loved one signing the letter of attorney, and in some states, you’ll need two witnesses. The chosen agent must be over 18 and fully competent, meaning they understand the implications of their decision. When filling out the form, the parent must specify exactly which powers are transferring to the agent. If the durable power of attorney specifies responsibilities regarding real estate, the letter of attorney should be recorded with the county Registry of Deeds. Give the original copy to the agent if you’d like it to take immediate effect, and keep at least one copy for your own records. Alternatively, hold onto the original until you’d like it to take effect. It may be advisable to have multiple copies of the POA, if there is a large group of family and friends involved. There are two separate documents you’ll likely need as part of comprehensive planning for your aging loved one. The first is a financial POA, which provides for decisions regarding finances and for the ability to pay bills, manage accounts, and take care of investments. The second is an Advance Healthcare Directive, which is also known as a “living will” or a “power of attorney for healthcare.” This document outlines who will be an agent for healthcare decisions, as well as providing some general guidelines for healthcare decision-making. Both of these documents lose effect after death. Estate planning is also a part of the planning process your family may want to engage in. This includes drawing up wills and clarifying funeral arrangements. These decisions are not part of the power of attorney and living will processes. For more information, visit our Guide to Estate Planning. A power of attorney for finances is a document that appoints a person — or sometimes an institution such as a bank or trust company — to handle someone’s financial affairs. A power of attorney for finances can also be used to make life easier for your parents, for example, or loved ones even though they still make decisions and handle some financial matters themselves. Or it can be used to handle all their financial matters when they’re incapable of doing so themselves. First, however, it’s a good idea for you and the person in your care to familiarize yourselves with the basics concerning how a power of attorney for finances works. A power of attorney for finances can be used to ease the burden of handling financial affairs. The document can allow the appointed person — called an “agent” or “attorney-in-fact” — to handle everyday financial matters such as rent, insurance, and doctors’ bills, as well as major matters such as sale of assets or the management of a business, property, or investments. On a practical level, the POA is a document you may need on hand to show a financial institution if, for example, you or the agent of the POA wish to have access to funds to pay necessary expenses for your aging loved one. Many people also choose to limit the power of attorney, keeping major decisions for themselves as long as they’re mentally competent. 1. Determine if one is needed. Under a few circumstances, a power of attorney isn’t necessary. For example, if all of a person’s assets and income are also in his spouse’s name — as in the case of a joint bank account, a deed, or a joint brokerage account — a power of attorney might not be necessary. Many people might also have a living trust that appoints a trusted person (such as an adult child, other relative, or family friend) to act as trustee, and in which they have placed all their assets and income. (Unlike a power of attorney, a revocable living trust avoids probate if the person dies.) But even if spouses have joint accounts and property titles, or a living trust, a durable power of attorney is still a good idea. That’s because there may be assets or income that were left out of the joint accounts or trust, or that came to one of the spouses later. A power of attorney can provide for the agent — who can be the same person as the living trust’s trustee — to handle these matters whenever they arise. One adult will be named in the POA as the agent responsible for making decisions. Figuring out who is the best choice for this responsibility can be challenging for individuals and families, and your family may need help making this decision. Your attorney, faith leader or a family counselor can all help facilitate this process. It’s a good idea to select an agent who is able to carry out the responsibilities but also willing to consider other people’s viewpoints as needed. 3. Take a look at the standard forms. You may find that certain states or your family’s bank or individual’s financial institutions have POAs that they prefer to use. These can also serve as resources for you as you put together your loved one’s POA. 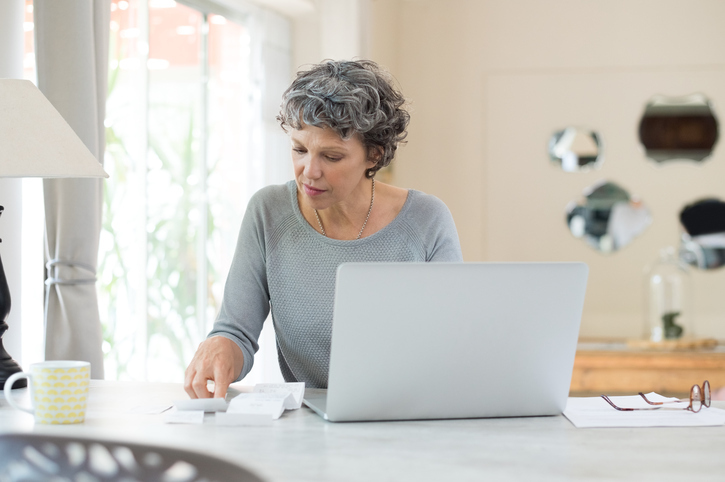 In certain instances, financial institutions may require that their format is used, so it’s a good idea to check with any banks or brokers used by your aging loved one before crafting the document. 4. Notarize the written POA, keep it stored safely, and provide copies to important people. A POA has to be written, witnessed, and notarized. You do not have to file it with a court or government office, with the possible exception of a POA related to real estate. Bear in mind that a verbal agreement is not recognized as a legal POA, nor is a casually written letter or note. Once you have an appropriately signed and witnessed POA, keep a copy safely stored and make sure that the people involved in caring for your loved one either have copies or are aware of who the agent is. Make sure the agent has a copy as well. 5. Review the POA periodically. A financial POA has to be prepared before you need it. Because that time may be unpredictable and therefore a POA could be in existence for years or decades, you all should review it periodically. Pay attention to whether the person identified as the agent is still willing and able to serve in that responsibility, as circumstances and laws may be changing. A power of attorney can also serve to protect older adults if and when they become incapacitated. If someone doesn’t have a power of attorney and becomes unable to handle financial affairs — because of an illness, dementia, or stroke, for example — a court might need to appoint an individual (known as a guardian or conservator) to act on the person’s behalf. Such court proceedings are expensive and time-consuming, and the person in your care might not wind up with someone he would want to act on his behalf. A properly executed durable power of attorney avoids all this. This document gives the agent authority in all situations (except for those specifically excluded in the document), including handling bank and investment transactions, accessing safe deposit boxes, buying and selling property, entering into contracts, filing tax returns, and managing government benefits. In some states, a general power of attorney could include creating or amending trusts during the senior’s lifetime, or transferring assets into trusts. A general power of attorney lasts until a date specified in the document or, if there is no stated ending date, until the principal — the person — dies or revokes the document. A general power of attorney also ends when the person becomes incapacitated, unless the document is also designated as “durable” (see below). A general power of attorney does not, however, mean that the person gives up authority over his own affairs. As long as he is mentally competent, he keeps authority over all his own financial decisions, with the agent acting only as an “assistant” financial manager. This document gives an agent authority only in specific situations named in the document, such as operating a business, making gifts or donations, collecting debts, or closing the sale of a home and distributing the proceeds. The specific power of attorney remains in effect until a particular date stated in the document, until the named transactions are completed, or until the principal becomes incapacitated, dies, or revokes the document. This is the type of power of attorney that remains in effect and permits the designated agent to take care of all the person’s financial affairs if and when he becomes incapacitated, either temporarily or permanently. If the person doesn’t specifically designate a power of attorney as “durable,” it will automatically end if he becomes incapacitated. This type of power of attorney only becomes effective at a future time or with a future event, such as when the person travels outside the country or becomes incapacitated. It used to be common for durable powers of attorney to be written as “springing” into effect only if and when a doctor — or more than one doctor — certified that the principal had become mentally incapacitated. However, the process of getting a doctor to certify that someone is incapacitated has become difficult, even when the incapacity is obvious. Also, “mentally incapacitated” is medically and legally vague, so doctors are sometimes reluctant to make that determination. It can even be difficult to get hold of someone’s medical records or to have a doctor discuss his condition. For all these reasons, it’s not usually recommended that a durable power of attorney be springing. Does a POA agent get paid? 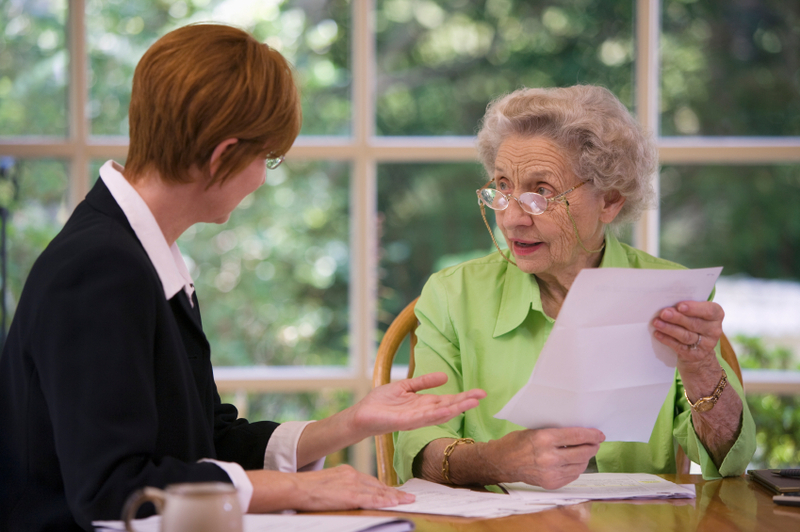 The person giving the power of attorney decides whether the agent is to be paid. If the job is simple and is handled by a close family member, payment is not usually made, although he could choose to do so. If the job is likely to be complicated and time-consuming, or is to be handled by someone who isn’t a close relative, then the agent should be paid on an hourly basis. In either case, the agent may reimburse himself for reasonable expenses. It is a good idea to document the hours spent on the work as well as keep any receipts necessary to justify reimbursement. 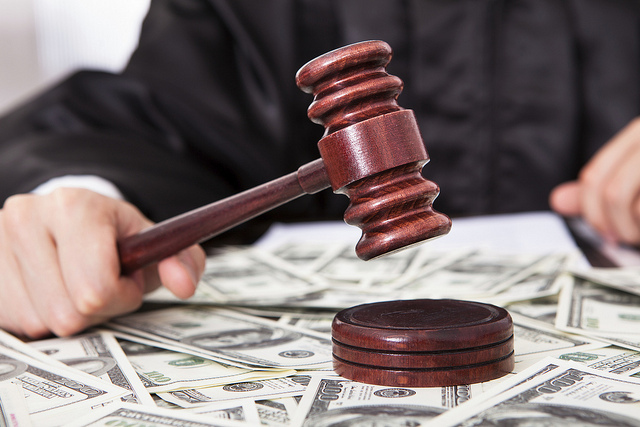 Is a POA agent personally liable for the person’s financial losses? Some people may be reluctant to take on the job of power-of-attorney agent because they fear legal liability — meaning personal responsibility — if their financial dealings result in losses. The general legal rule, though, is that an agent isn’t personally responsible for financial losses unless he committed theft or other fraud, neglected normal duties (repeatedly failed to pay rent on time, for example), or made a “reckless” decision that resulted in a substantial loss (legally, “reckless” means an intentional disregard of obvious high risk, not just poor judgment). What makes power of attorney valid? People granting power of attorney must be mentally competent when they sign the power of attorney. The process of having witnesses sign the document helps to ensure that it’s authentic and that those involved are competent. Also, their signatures need to be notarized, which also adds credibility. And if they have a lawyer prepare or review the documents, the lawyer’s contact with them will also back up their competence at the time. Is a power of attorney valid in all states? A power of attorney is valid in all states. The law of the state in which they reside at the time they sign a power of attorney will govern the powers and actions of the agent under that document. However, if they regularly have financial affairs in another state — they own property there, or have a business interest — it’s not a bad idea to have a separate power of attorney prepared with the specific legal form used in that state. Can a power of attorney be changed? As long as someone is mentally competent, he can revoke a power of attorney at any time. Or he can maintain the power of attorney but change the agent. The person granting power of attorney should periodically revisit the document to determine whether it still meets his needs. If he wants to make a change, he should execute a new document rather than trying to make amendments on the old one. What are the risks involved in a POA? A financial POA gives a great deal of power to the agent. While most people will take this responsibility seriously and be transparent in their actions, this amount of power may also increase the risk of elder financial abuse. It’s a good idea for the agent to work with a team of family and friends to make decisions, and be willing to show documentation of the decisions they made, when they made them, and why. However, if you suspect that an agent is using an elder’s financial resources for purposes other than care for the aging adult or there are sudden unexplained depletions of funds, you may have grounds for reporting elder abuse. Who Should Be Chosen as the Agent? A power-of-attorney agent should have a level of financial capability to meet the needs of older adults’ financial affairs; the more complicated their finances, the more financially sophisticated the agent should be. If the agent can’t handle things and has to go out and hire lawyers and managers, the money to pay for them would come out of the family’s assets. It may help if the agent is geographically close to the people involved and their property or business assets. If your parents or others execute a general power of attorney to become effective while they’re still competent, they should not choose someone who is likely to try to take over more responsibility than they’re ready to give up. It’s important to choose one person, instead of a group of people. It may be tempting to give this power to all the adult children as a group, but this can lead to conflict and poor decision-making. Instead, name the one adult child who is able to collaborate with all the others the best, and then make a decision. Alternatively, it might be a good idea to choose another adult to act as an agent who is not one of the adult children but can work well with all of them. This guide has focused primarily on the details of financial POA planning. Creating an Advance Care Directive, or healthcare power of attorney, is an important complement to the financial POA process. This is a document that will choose a responsible adult to help make medical decisions when your aging loved one is not able to do so. This person should be separate from the individual chosen to act as the financial POA agent, although it is possible for one person to serve in both capacities. It is a good idea to name a second person to make medical decisions if the first person is unable or unavailable to do so. For more information, visit our comprehensive Guide to Advance Care Directives.